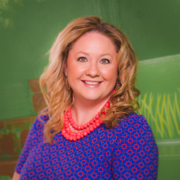 Amy graduated from Texas A&M University with a Bachelor’s Degree in Agricultural Development in 2004 and has been a REALTOR® for over 12 years. Amy and her high school sweetheart, Ryan have been married for over 10 years and have a daughter, Madison. They are happy to call Bryan/College Station home and raise their daughter in this community. Amy enjoys meeting new people and helping clients achieve their real estate goals. She specializes in residential sales working with buyers, including first-time buyers and relocation as well as sellers and new construction. Amy is very honored to have been awarded the Bryan/College Station Regional Association of Realtors Realtor® of the Year in 2012, Home Builders Association Associate Member of the Year in 2011, Rotary Club of Aggieland Rotarian of the Year 2017 Service Above Self in 2012 and Distinguished Aggieland Rotarian 2014. She is a proud Texas Realtor® Leadership Program Graduate and holds the ABR, CRS, e-PRO, GRI and SRES designations. She is also active in the Bryan/College Station Regional Association of REALTORS® where she served as President, Charter Member of the Women’s Council of REALTORS® Brazos Valley Chapter where she has served as President, Bryan/College Station Chamber of Commerce Ambassador Program Past Chairman, Bryan/College Station Home Builders Association, Junior League of Bryan-College Station, Rotary Club of Aggieland, American Business Women Association Leading Women’s Express Network, serves on The Children’s Museum of Brazos Valley Board of Directors, Brazos Valley Fair serving on the Steer and Heifer Committee and other community and professional committees.